What is a letterbox video? Letterbox format is available for users on the Lumen5 Pro Plan and above. 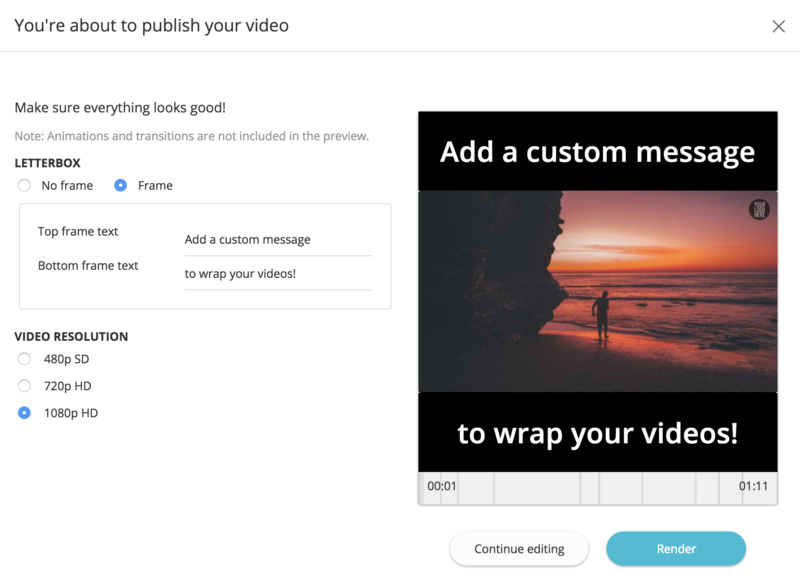 When creating a video, you can click on the Preview or Render buttons to open up a modal offering several options. Under the Letterbox section, you can choose "no frame" or "frame", but note that this option is only available on landscape videos. Selecting "frame" will give you the option to write a message in black bars which will wrap your entire video. This is a popular viral format on social media.